January 2016 - Proper Landscaping Inc.
After fielding many, many questions about this native shrub, it’s time to give it its own blog. Symphoricarpos albus (Common Snowberry) is a native shrub. In the wild it forms dense thickets. In strata landscapes it gets sheared down to size in winter. Now would be a good time to do it. The shrub produces small flowers in June which attract butterflies and hummingbirds. Then in fall we get many clusters of white berries and they last into winter. This is why, I presume, my workers and residents ask about this native shrub. The white berries are hard to miss. Native birds eat them. Sometimes I think about this when I am asked to shear the shrub to size. The poor birds might go hungry. 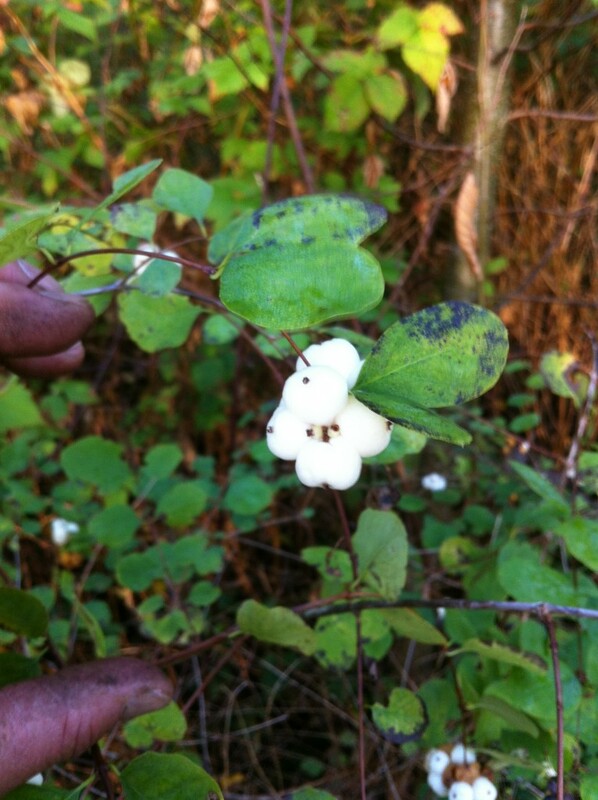 The common snowberry is easy to grow and tolerates all but very wet soils. If you don’t have this shrub on your strata property you are bound to see it on your nature walk. If you see clusters of white berries, chances are it’s the Common Snowberry. If you want to sound like a native plant expert, use the botanical name Symphoricarpos albus. Review: HortusTV, Television for Gardeners……. After seeing ads for HortusTV in Garden Making magazine, I decided to give it a try. The website www.hortustv.com offers a seven day trial and you don’t have to hand over your credit card information to enjoy your free week. Most episodes are in the 20 minute range and lots of different topics are covered. The selection looks limited as I write this but the episodes are shot really well. You will learn lots of interesting stuff, guaranteed. Once the number of shows increases it will make sense to pay monthly. For the moment I will keep my cash for Netflix. Once you get your free 7-day trial, log in and first go to the Small Town Gardens series hosted by Rachel de Thame. She is easily the world’s prettiest horticulturist! If the number of her episodes doubles, I will subscribe to HortusTV. I watched an episode about a windy apartment patio. The owners needed more privacy and heavy winds were an issue. It was an interesting problem for the landscape architect. The Earth’s Garden series examines the connection between people and plants. In the Kew Gardens episode you will discover an interesting tree, Amorphophallus titanum. Kew is one of the oldest botanical gardens in the world. It is on my “Live it” list. Another interesting series was about spring around the world. All of these episodes are worth watching, especially South Africa. My recommendation would be to do the free seven day trial and then wait for the number of shows to triple before paying monthly. You know the scenario well. You are blowing a strata site and your worker stops you with a question. So you stop and then take the blower off your back to start it again. Back to your leaf avalanches. 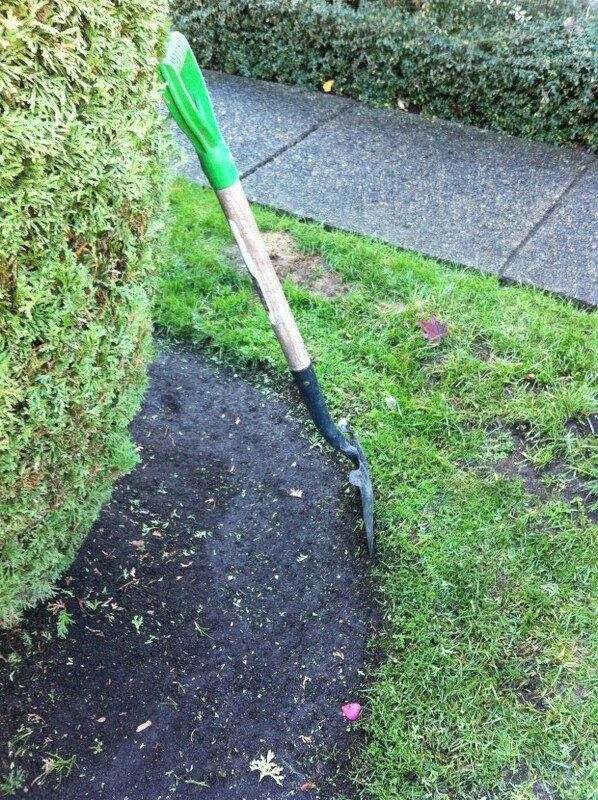 Then a strata lady stops you with a pressing landscape emergency. You get the picture. I always wanted a better system where I wouldn’t have to take the unit off my back to restart it. 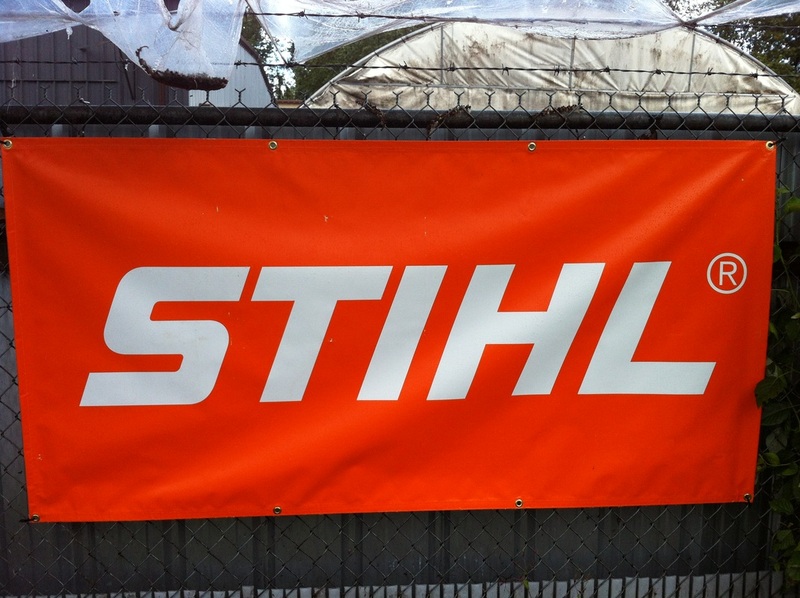 And this year Stihl came out with my dream machine, BR 450 C-EF professional blower! Electric on/off switch so you can keep the blower on your back and eliminate idling (and excessive noise) as you go from one area to the next. 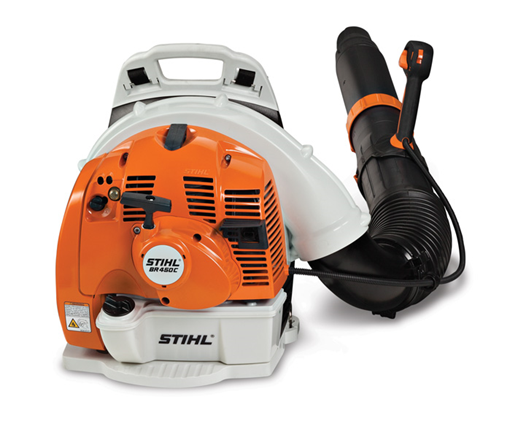 I am not sure if this blower is available in the Lower Mainland but it is on my wish list! This past fall, with daylight quickly fading out, I witnessed a residential landscape service blitz at a house next door. Three men mowed and pruned in semi-darkness. 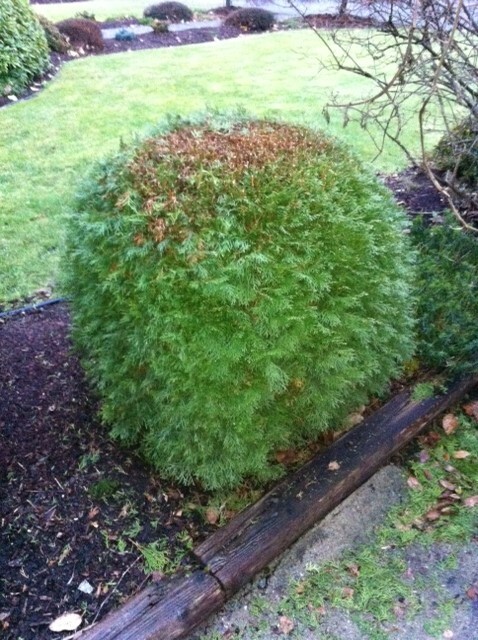 When you look at the globe cedars pictured, pruning must be used loosely. The cedars should be evenly sheared into nice globes and the clean up should match the pruning job. Always! 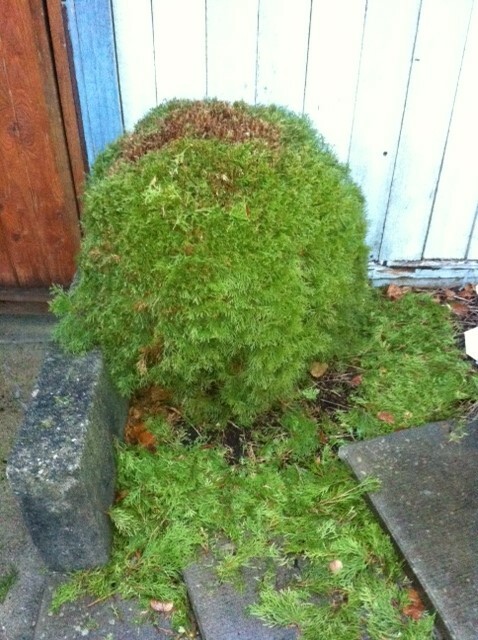 Incredibly, this is their finished product and the clippings remain on the ground weeks later. Presumably they got paid for this “service”. Then it hit me! 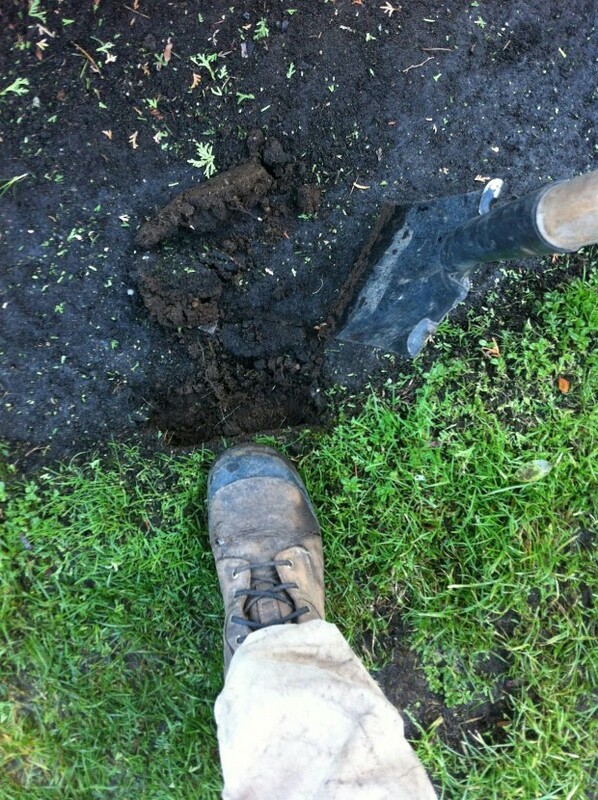 This is why landscape professionals get certified. To get some separation from people who produce and accept this kind of service. 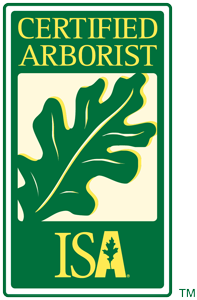 The Canadian Nursery and Landscape Association (CNLA) runs the Landscape Industry Certified program in Canada. The program helps landscapers validate their skills and prove, by passing all written and practical tests, that they have the minimum required skill levels. Employers love it and clients should look for this logo. If you are lucky your employer will cover your testing fees. Ask nicely. 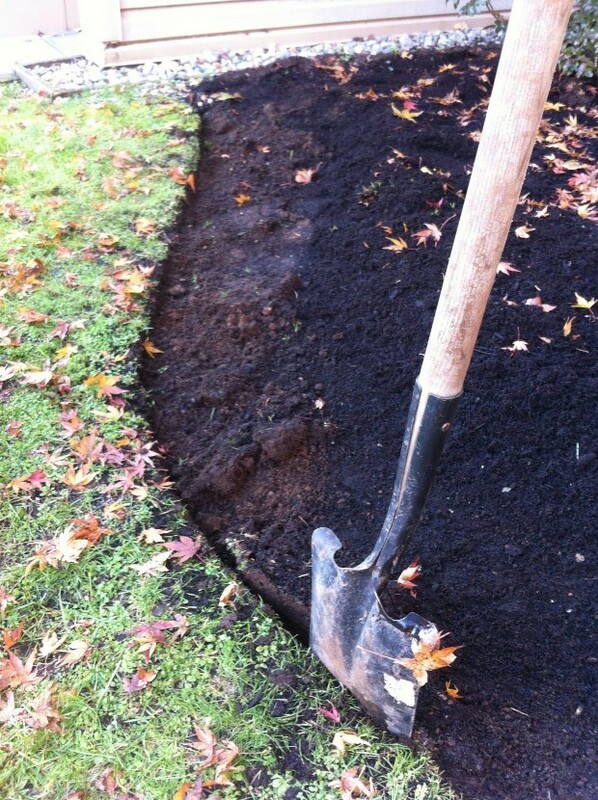 Deep-edging beds and tree wells is a great winter task. It defines our bed edges nicely. While it is not a very difficult task, there are a few pointers to keep in mind. 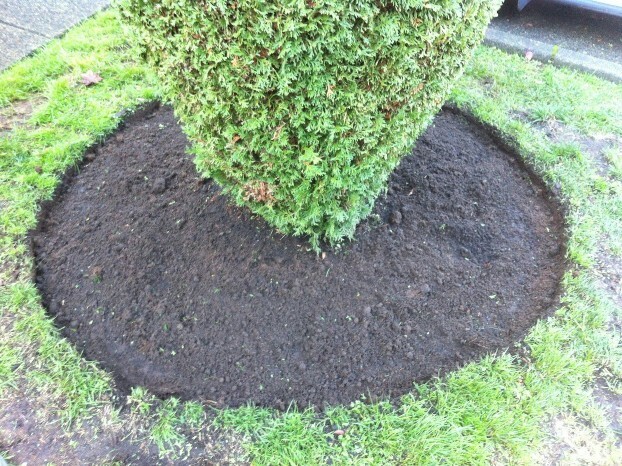 Always put in sharp ninety degree edges and if your bed has freshly installed soil or mulch do not mess it up with soil chunks. 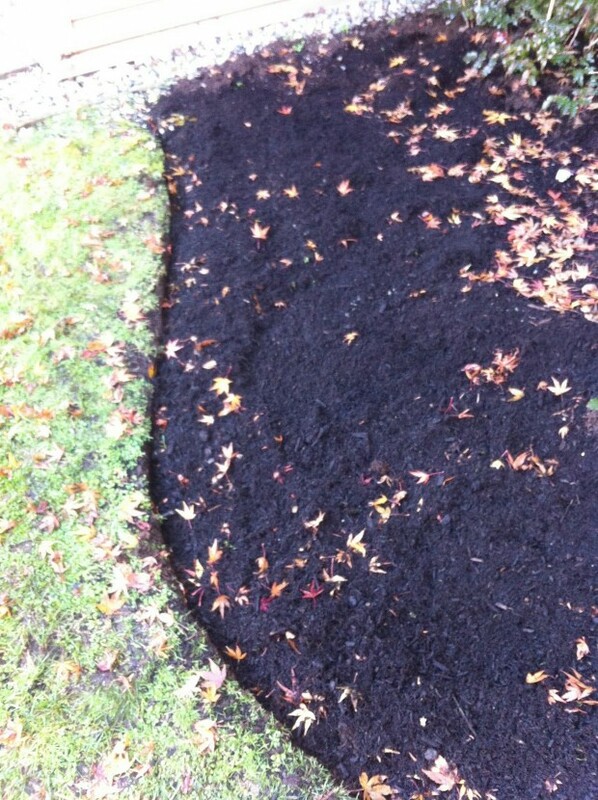 First, rake your mulch or soil away from the edge! See example below. 1) Only 90 degrees will do. 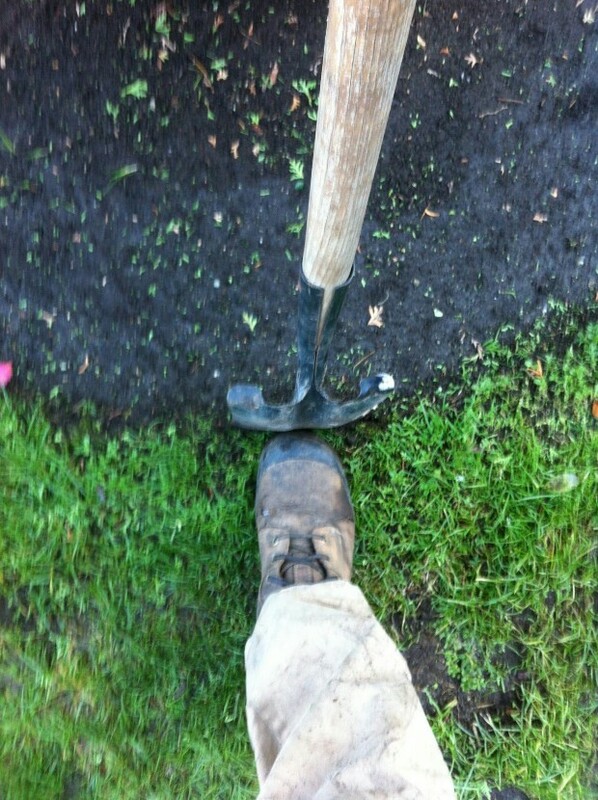 Position your spade so you get a nice ninety degree edge. Important! 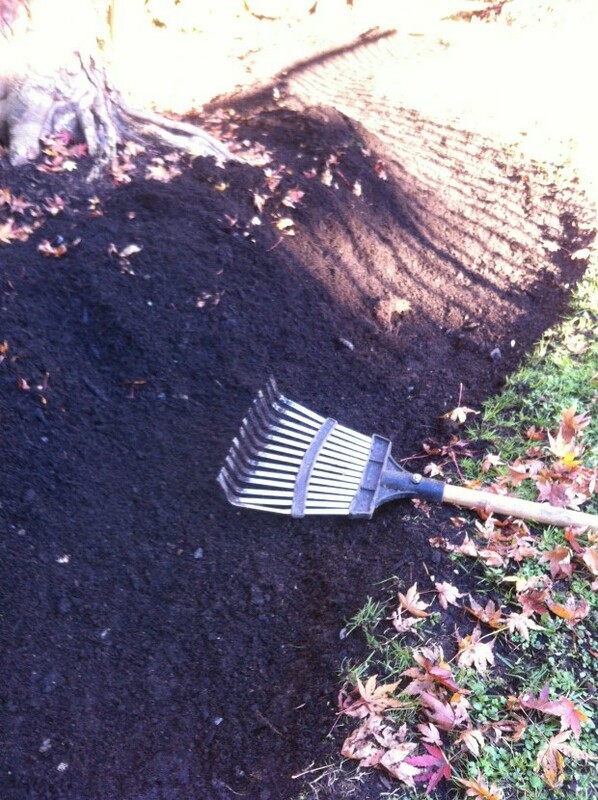 To deep-edge beds with fresh mulch or soil DO NOT kick up fresh soil chunks over the new soil or mulch.